Born April 21, 1838, Scottish immigrant John Muir found his home in America and today is probably America’s most famous naturalist and conservationist. As an inspiring writer, environmental philosopher and founder of Sierra Club, a prominent American conservation organization, he left us legacy full of contagiously inspiring words about the splendor and beauty of nature and the need to preserve it from commercial exploitation. 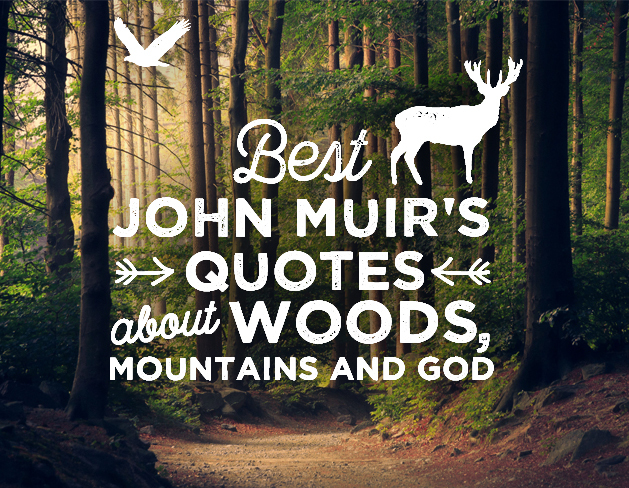 John Muir’s quotes about nature are so lyrical and filled with such wonder and astonishment that will ignite your sense of adventure and inspire the adventurer in you to connect with nature. 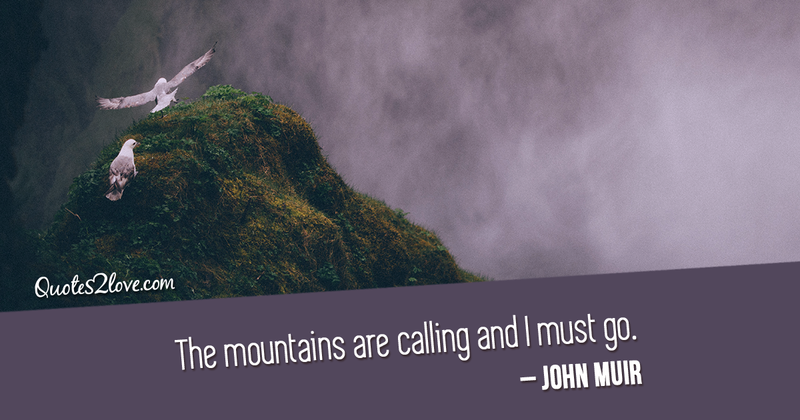 Also known as “John of the Mountains”, he dedicated his life and writings to the preservation of the wilderness, forests and national parks, such as Yosemite, Grand Canyon, and Sequoia and King’s Canyon national parks. 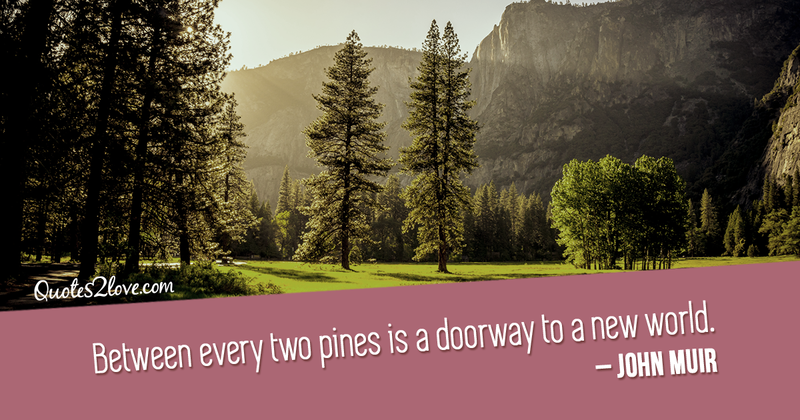 He is often considered as the “Father of the National Parks”, and even one of the most popular hiking trails in the Sierra Nevada was named in his honor. In his letters, essays and books he writes about his adventures in nature with such enthusiasm and spirituality that it’s no wonder that he inspired millions of readers to cherish nature and truly appreciate the richness of wildlife we have on our planet. 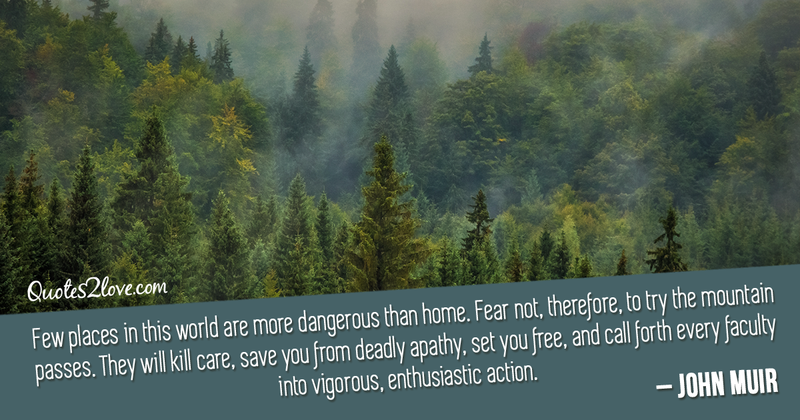 John Muir is often quoted in today’s life full of environmental problems and climate changes when the necessity to protect our nature and natural resources is stronger than ever. Also, he frequently talked about negative aspects of running after money and emphasized the positive aspects that exploring of the outdoors can have on our body and soul. 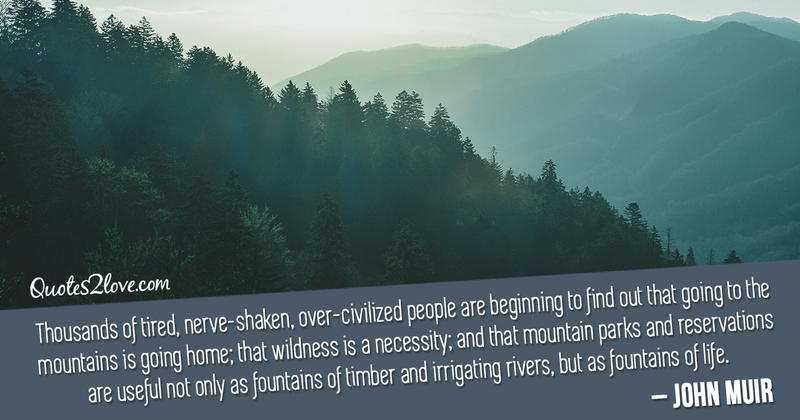 This is very applicable in the modern world and represents one more reason why John Muir’s quotes and thoughts resonate so powerfully today and are often cited. That’s why we wanted to give you a glimpse of his wisdom that is just as important today as it was a hundred years ago. 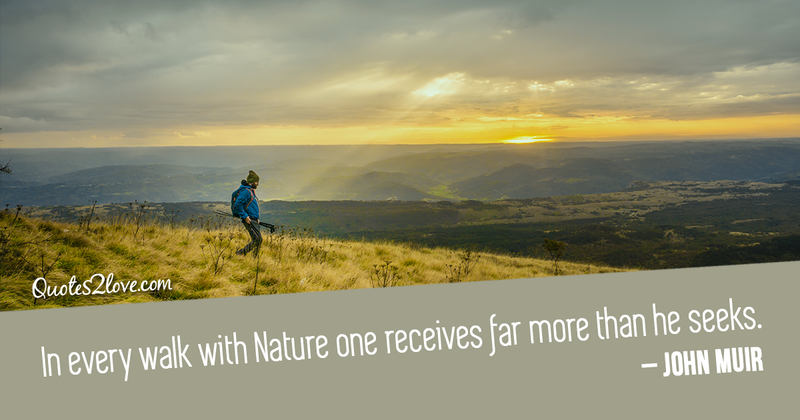 So if you love forests, mountains, wildlife and nature around us, you’ll know how to appreciate beautiful and inspiring John Muir’s quotes. 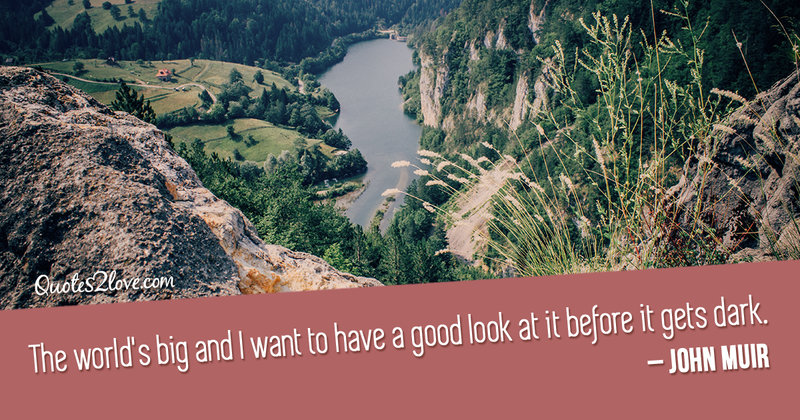 And if you love sunsets, don’t miss 10 jaw-dropping sunsets you have to see in your lifetime.